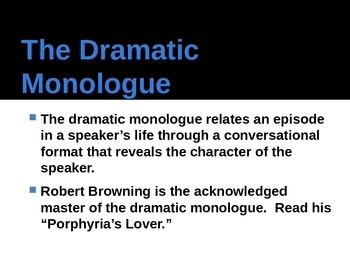 Students will be introduced to 9 different types of poetry: ballad, lyric, ode, elegy, dramatic monologue, Shakespearean sonnet, Petrarchan sonnet, villanelle, and free verse. Definitions and characteristics of each type. For each type, students read an example and are guided in analysis of each poem. 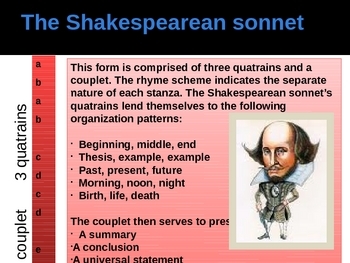 Students can analyze poems independently, with a partner, or in small groups. 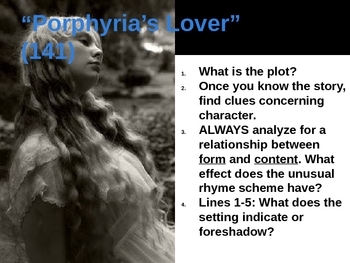 Great for introducing poetry analysis to AP Literature and Composition classes.